Bailey of Hollywood – Spencer – Made in USA – The Spencer is made with a LiteStraw® finish that is durable, flexible, and water-repellent. It’s universally flattering teardrop crown and 2 3/8″ down-brim provide ample sun protection for those hot summer days. This hat is proudly crafted in the U.S.A.
Tommy Bahama Panama Hat – The Tommy Bahama Panama Hat featuring three pleated cotton hatband in black or taupe, center-dent, pinch-front, crown protector, and TB Golf Button (removable). Great hat for everyday wear! 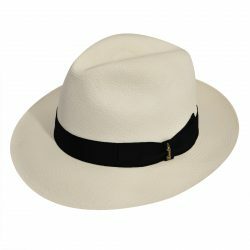 Henschel Nova Brisa Genuine Panama Hat – The Henschel Nova Brisa Genuine Panama Hat featuring a 2-3/4″ finished underwelt brim, pinch-front w/teardrop block, 1/2″ genuine leather hatband, lightweight and comfortable. Great looking hat for a great price! Borsalino Panama Fine Ala Media Fedora 2 1/2 Inch Brim – The Borsalino Panama Fine Ala Media featuring a finished overwelt 2 1/2″ brim, 100% Premium Panama Straw, Grade 20 Fine weave, Borsalino gold embossed on a black grosgrain hatband, soft and comfortable with a pinch front and center crease. 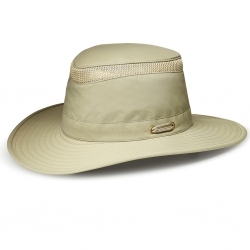 Pantropic Panama Player – UPF50+ The Pantropic Player Panama features a traditional down-brim shape, a generous 3″ finished brim, UPF50+ sun protection, thin and stylish grosgrain hatband, pinch-front with center crease and a comfortable padded sweatband. Henschel Authentic Panama Hat with 2 Inch Brim – The Henschel Teddy King Genuine Panama Straw Hat features a medium 2″ finished brim, contrasting black hatband, low crown, pinch front and center crease. Panama Excello by Biltmore-Canada -This Biltmore Premium Quality Panama Hat features a 2-3/8″ snap brim, pinch front with “Teardrop” block, black hatband with Biltmore removable hatpin and a genuine leather sweatband (rare in Panama Hats). 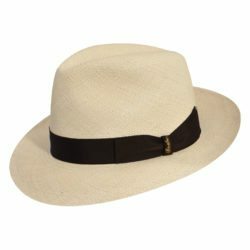 Borsalino Fino Panama Fedora 2 1/2 Inch Brim this Borsalino 100% premium straw fedora is brand new this year. 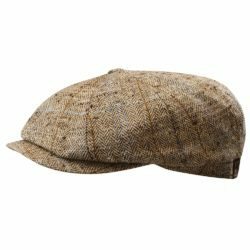 Featuring a traditional and generous 2 1/2″ finished overwelt brim, fine weave with stamp inside for authenticity, brown grosgrain hatband with discreet “Borsalino” gold embossed on the side. 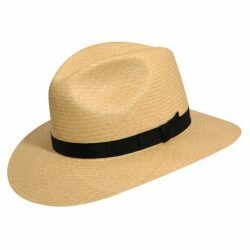 Borsalino Panama Fine Ala Media Fedora 2 1/2 Inch Brim – The Borsalino Panama Fine Ala Media featuring a finished overwelt 2 1/2″ brim, 100% Premium Panama Straw, Grade 20 Fine weave, Borsalino gold embossed on a Lyme grosgrain hatband, soft and comfortable with a pinch front and center crease. 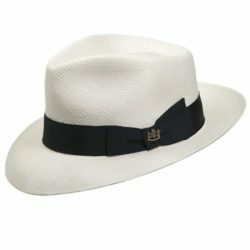 Borsalino Panama Fine Ala Media Fedora 2 1/2 Inch Brim – The Borsalino Panama Fine Ala Media featuring a finished overwelt 2 1/2″ brim, 100% Premium Panama Straw, Grade 20 Fine weave, Borsalino gold embossed on a Royale grosgrain hatband, soft and comfortable with a pinch front and center crease.